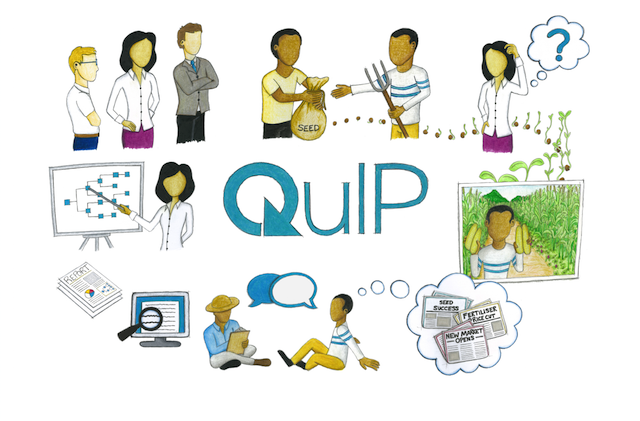 QuIP Field Researchers: training field teams in-country to collect data for QuIP on a study by study basis. Lead Evaluators: a two day course to train M&E professionals in QuIP project design and management. (See details of the next courses here). QuIP Analysts: an advanced course which follows on from the Lead Evaluator course to train specifically in coding, analysis and visualisation using our software. This takes the form of a coding assignment and a follow-up feedback session. Please contact us to find out more about any of these training options. Our aim is to build up a QuIP Network, a community of practice based around the QuIP which will be open to all those who have completed training.